and one of the things I wanted to be different and memorable were the favours. I love baking and eating food so creating something edible was an obvious choice and I thought making homemade truffles would give the day a real touch of elegance! My husband (then fiancé) and I spent many nights and weekends making the truffles, but it was all well worth the effort in the end. 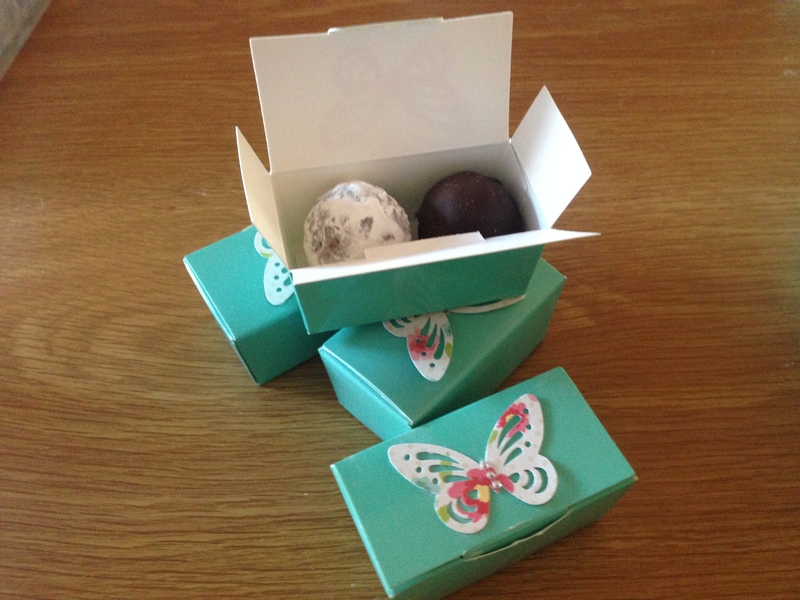 We bought pretty boxes, resembling a Tiffany Box to present the truffles and printed our own labels which were placed on the bottom of the boxes as we wanted our guests to know we had went the extra mile to make our day special! The best compliment I was given after the wedding was that some of the guests thought the boxes were the gift and we had bought the truffles, they were so good. 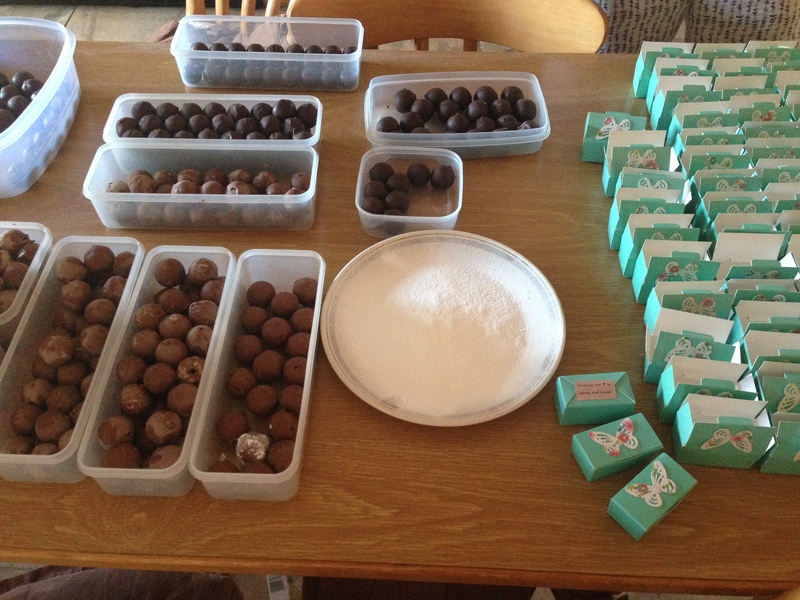 After the endless hours spent making the truffles in the run up to the wedding I swore it would be a while before I made them again, but then my sister and I decided to have a baked goods stall at a Christmas market and truffles were the first thing I thought about making. Below I have included recipes for two variations; both are easily adaptable and different flavourings such as peppermint extract, orange zest or any tipple of your fancy can be added. The truffles can be coated with chocolate shards, icing sugar, cocoa powder or nuts, to add texture and a professional finish. 1. Heat the cream until it just comes to a boil, add the chopped chocolate and remove pan from heat. 2. Stir or whisk until the chocolate is completely melted. 3. Stir in the butter until the ganache is smooth. Add favouring at this point if using. 4. Put in a bowl and cover with plastic wrap ensuring that the plastic makes contact with the entire surface of the ganache. 5. Refrigerate overnight or until the ganache is set. 6. Form the truffles using a melon baller, small ice cream scoop or teaspoon. Roll the ganache in a ball and place on parchment paper. 7. Roll finished truffles in your coating of choice. 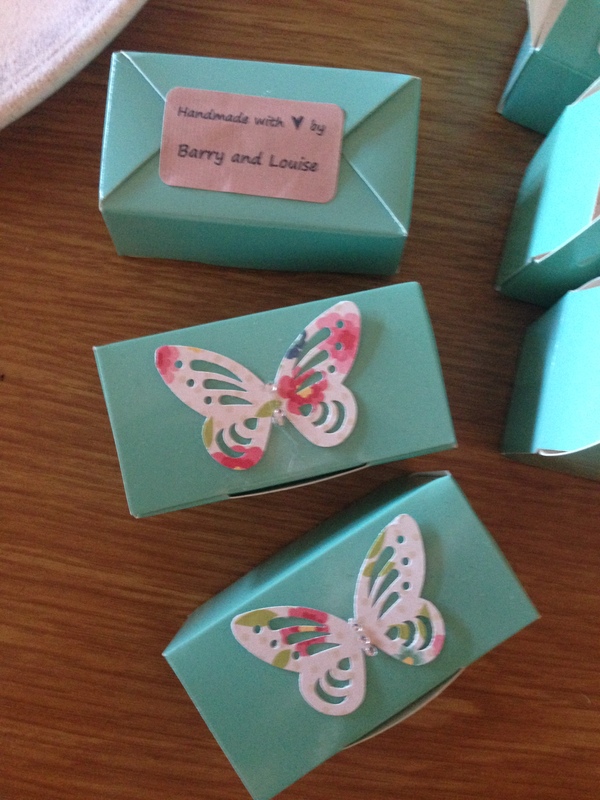 This entry was posted in Features and tagged christmas market, tiffany box, truffles, wedding by Michelle Loughran. Bookmark the permalink.